"It's like her brain's been rewired!" 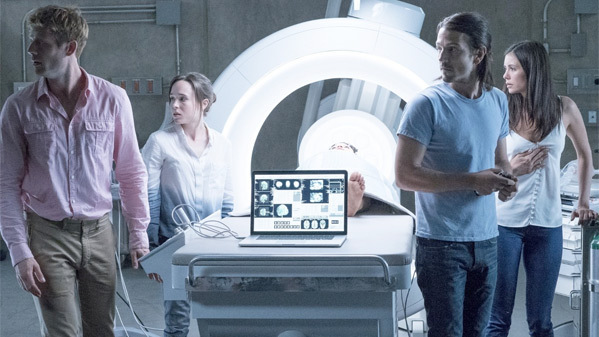 Sony has debuted another new international trailer for the remake of Flatliners, the movie about medical students who temporarily stop their hearts in order to experience the afterlife. This new film is directed by Danish filmmaker Niels Arden Oplev, of the original The Girl with a Dragon Tattoo movie, and seems to be more horror than suspense. 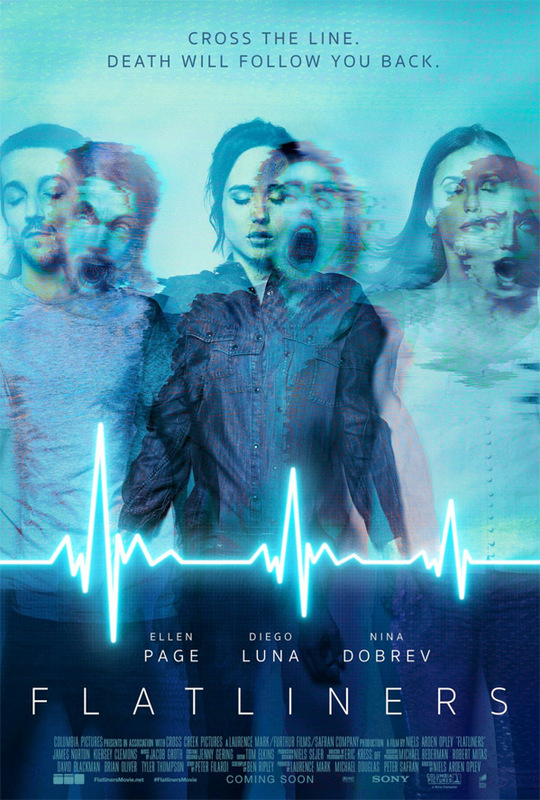 The cast of this new Flatliners includes Ellen Page, Diego Luna, Nina Dobrev, James Norton, and Kiersey Clemons. The original film was directed by Joel Schumacher and was released in 1990, but hasn't aged well over the years though it does still have a following. This new Flatliners plays more like a horror similar to Jacob's Ladder than a drama or spiritual thriller, but still looks intriguing. I'm honestly curious about seeing this, maybe it will be good. You can also still watch the the first official trailer for the Flatliners remake here, to see more footage. Five medical students, obsessed by the mystery of what lies beyond the confines of life, embark on a daring and dangerous experiment: by stopping their hearts for short periods of time, each triggers a near-death experience – giving them a firsthand account of the afterlife. But as their experiments become increasingly dangerous, they are each haunted by the sins of their pasts, brought on by the paranormal consequences of trespassing to the other side. 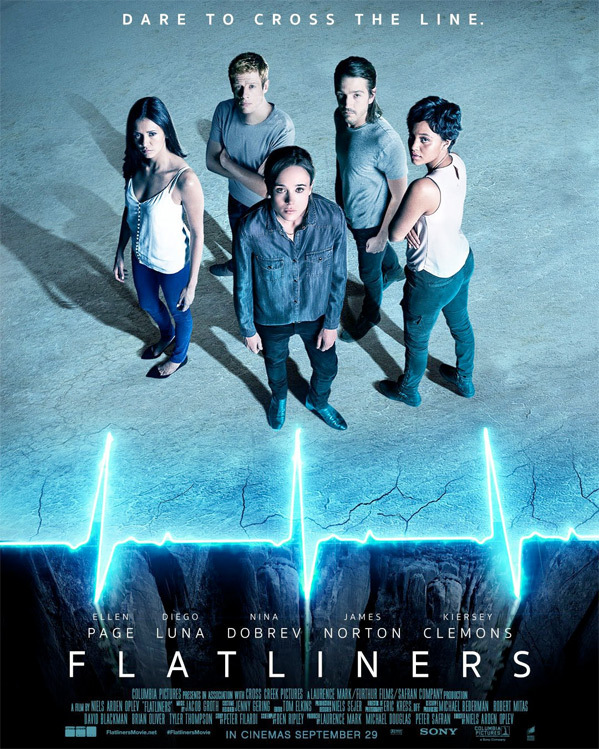 Flatliners is directed by Danish filmmaker Niels Arden Oplev, of films We Shall Overcome, Worlds Apart, Dead Man Down, Speed Walking, the pilot for "Mr. Robot", and the original The Girl with the Dragon Tattoo previously. The screenplay is written by Ben Ripley; based on a story by Peter Filardi. Sony will release Flatliners in theaters starting September 29th this fall. Thoughts?